Water, water, everywhere. When tap water just won't do the trick, you need a real drink. Get it the easy way: with the Illinois Drink Ticket. 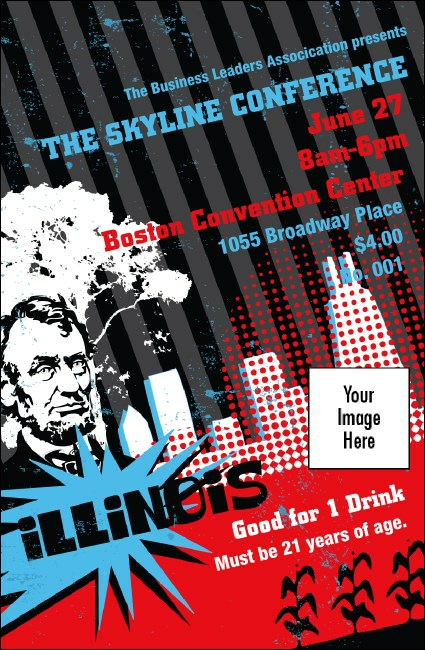 This locally-themed ticket takes you back to the Land of Lincoln with an image of the President beside other icons, so you can sell more drinks with less trouble. Leave the corruption behind with faithful digital reproduction from TicketPrinting.com.